The STAR Academy of the Southwest Arkansas Arts Council in conjunction with the University of Arkansas Hope-Texarkana and Hempstead Hall presents an original production tonight at Hempstead Hall. 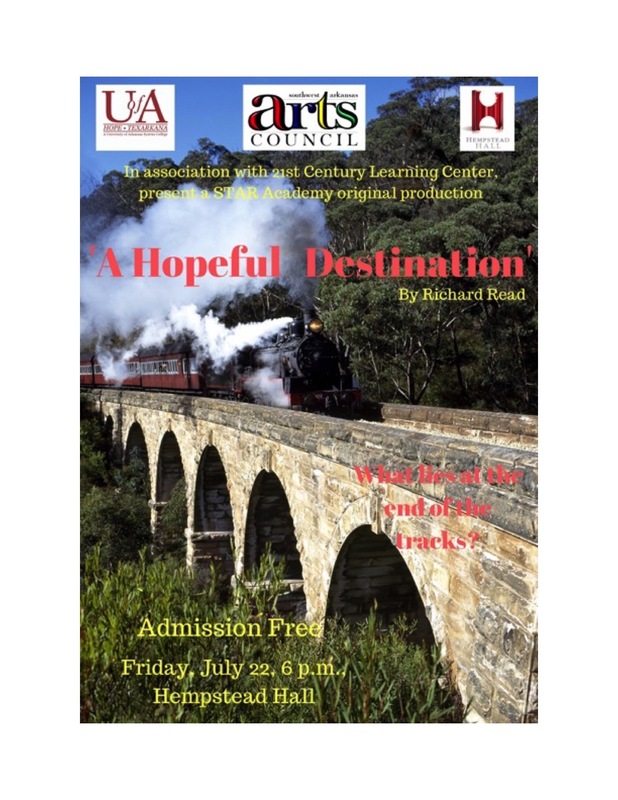 "A Hopeful Destination," by Richard Read, will be presented at 6 p.m. at Hempstead Hall. The play is a history of Hope in seven vignettes, and is free to the public and features art work, set design and props created by the 21st Century Classroom Learning Center of the Hope Public Schools.